A very different approach to dementia care. We are a very different and unique training and consultancy company, known for our unconventional approach in delivering knowledge to professionals, carers and family members. 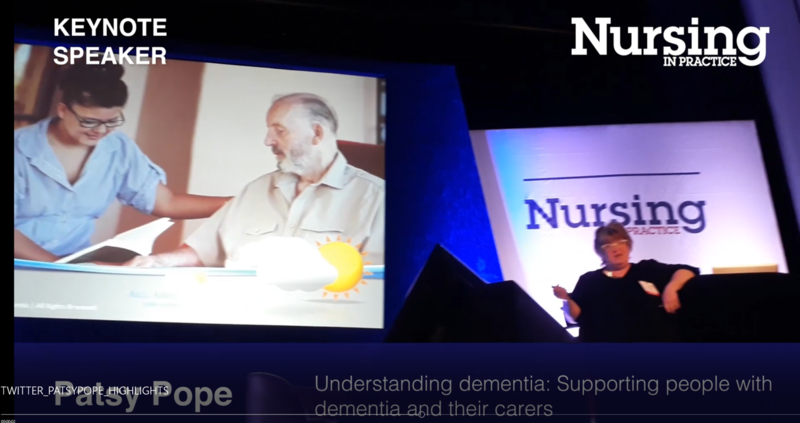 Patsy Pope is our Dementia Specialist and advocate for the elderly, with 30 years of experience working in dementia care, both in the UK and the USA. A background in mental health nursing, recreational therapy and psychology is enhanced by a career ladder that has gone from frontline carer, activity coordinator, charge nurse, care home manager, service inspector and Ombudsman. Now one of the UK’s top dementia training specialists and dementia consultant, Patsy is in demand nationwide. But what makes Patsy different from other leading dementia specialists? Patsy works UK wide which enables her to see care, first hand, in many different settings; care homes, home care agencies, day centres and in an elder’s own home. Patsy also consults with various councils and housing associations to advise on dementia care which allows her to understand the provider role. Another unique aspect of Patsy and All About Dementia is we offer bespoke training and workshops to meet the needs of our delegates, where we do not adhere to a prewritten format, just to the objectives, so our style is flexible. Motivation is guaranteed with every training course. Patsy’s personality is the key to our success and why we have over 30,000 delighted delegates that praise Patsy’s delivery and expertise. Knowing the trainer has hands on knowledge of care at all levels is a bond that enables learning, change and positive outcomes. Patsy has hand picked all the trainers at All About Dementia. They are each unique in their styles and vastly knowledgeable about dementia, each one having worked in the field in various positions. With a growing number of private clients, Patsy shepherds the journey through dementia for the elder and the family, offering knowledge, support, advice and direction. She can assist in hiring the right paid carer, or show the way to better communication, even help in sourcing equipment or dementia-friendly comfort items. At All About Dementia we know and excel in care issues which concern all aspects of dementia. Julie Smith - Care Manager. Pearl Care.